The Revant Rubber Kit is the perfect way to switch up your look or bring your Oakley Half Jacket back from the brink of extinction. 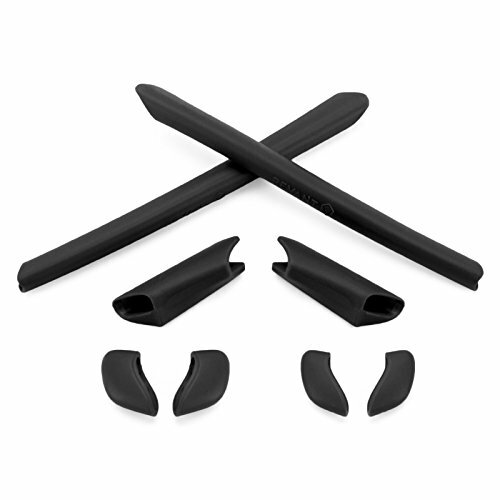 Each kit contains a pair of ear and temple sleeves and two sizes of nose pads so you can adjust the fit to your comfort level. Constructed with Revant MaxGrip so the more you sweat, the tighter they'll hold. Go attack a trail, hit the links, or obliterate a PR, and know that your sunglasses will still be sitting pretty - safe and secure, when your adventure wraps up. Disclaimer: Revant and the Revant logo are trademarks of Revant LLC. Any usage of Oakley trademarks is only to describe those products. Oakley, Inc. is not associated with Revant LLC and does not endorse, sponsor, support or associate with Revant LLC products.